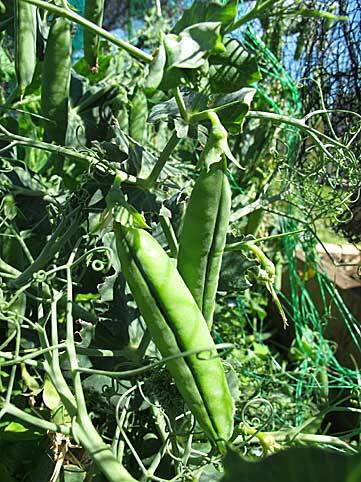 Why do we grow peas at home? The fact is that frozen peas are about as good as it gets. I’ve been to a pea ‘factory’ in Norfolk and it’s a remarkable operation. The pea harvesting machines don’t stop day or night, the shelled peas are chucked into a lorry that comes alongside and then driven as fast as legally possible back to the units at the factory to be blast frozen minutes after arrival. 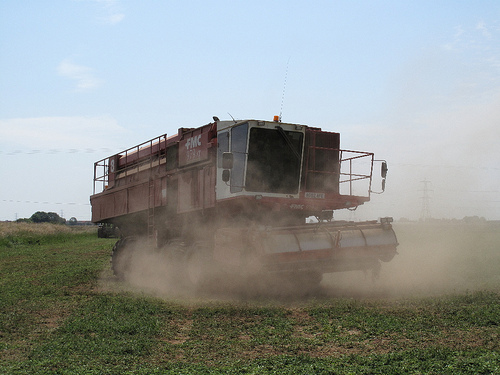 Speed is crucial because about fifteen minutes after picking, the sugar in peas starts to turn to starch. This means those peas in pods you see in some upmarket greengrocers and supermarkets are all but worthless. They may look pretty, and you may feel delightfully old-fashioned podding them, but they could be days old. The flavour will be virtually nothing. A pea picked from your own plot though is another matter. As long as you don’t leave them in the fridge for days then you have the only pea that’s better than a frozen one. The pods burst open with a crisp crack and a little spray of moisture hits your hands. Quickly rattle the peas out into a bowl, toss the pod into your bucket for the compost heap or for stock and sing along to your favourite tune on the radio, or better still listen to Radio 4. It’s a tedious business podding peas so you need some diversion. Our peas are now in full swing. A week ago we had flat pods with no pregnant swellings. Now with all the welcome rain, the pods are taut with peas straining to escape. Other eyes have also noticed this and mice, squirrels and even birds are stealing what they can. The heavy pigeons sit on the net until their weight makes it sink far enough for them to be able to peck at the peas through the mesh. The squirrels lift the net with their evil little hands and creep inside. You have to accept some losses, although I’d happily wring a squirrel’s neck if I could catch one. The great thing is not to waste the peas you do get, make them the star of the show. One classic way to enjoy is peas in risotto. In Venice they make Risi e Bisi and it’s a bit of a luxury. Use best quality risotto rice, such as Acquerello rice, plus good vegetable stock (boil the pods and maybe add some vegetable stock cubes to the result) and also scraps of pancetta along with the butter at the end. Some Parmesan is good too, but you don’t want to mask the taste of those peas. As the quantity of peas coming off the plot gets even greater it’s also good to make ravioli from peas cooked and gently mashed with ricotta, black pepper and basil. And of course you can also blanch and freeze as a last resort. The pea season isn’t long but it’s worth making the most of them and letting none roll away.